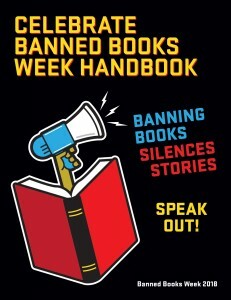 BANNED BOOKS WEEK IS HERE — CELEBRATE WITH NEW HANDBOOK! CELEBRATE BANNED BOOKS WEEK HANDBOOK is a free publication that can be used to guide your celebration of the right to read during Banned Books Week or any time of year! It includes programming ideas, best practices for events, resources, and tips for handling censorship. This invaluable handbook will continue in coming years with annual updates. The 2018 theme, “Banning Books Silences Stories,” is a reminder that everyone needs to speak out against the tide of censorship. 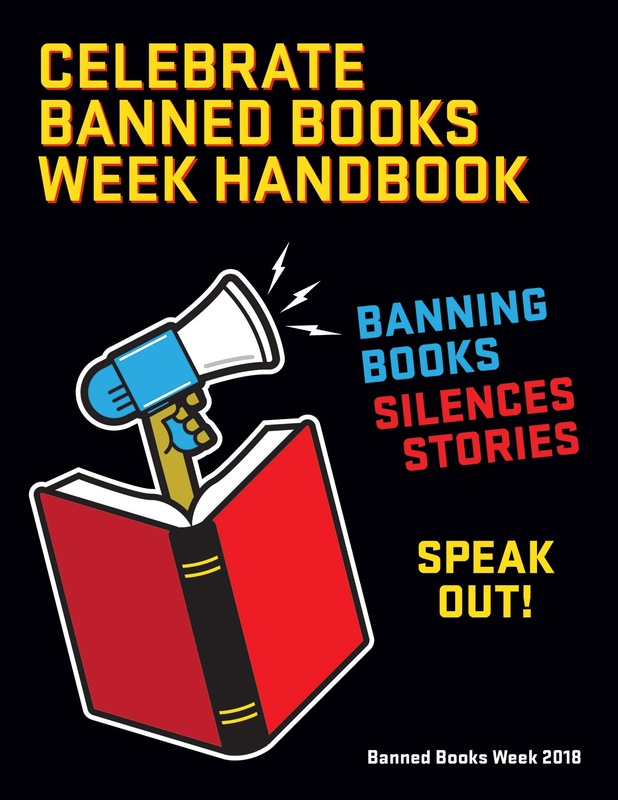 Please join us during Banned Books Week, September 23 – 29, 2018! Tell us about your display or event by completing the form at https://bannedbooksweek.org/events/community/add/, and we’ll include it on our events calendar!